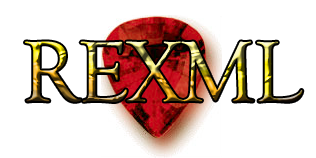 REXML is an XML parser for Ruby, in Ruby. Repository: https://repos.seanrussell.us/rexml Author: Sean Russell <ser@ser1.net> Description REXML is an XML 1.0 compliant, reasonably fast, non-validating XML parser. It has an API that is designed to be intuitive, straightforward. and terse. REXML includes a tree model parser, a SAX2 streaming parser, and a pull parser. It also includes a full XPath implementation. All of REXML’s parsers pass 100% of the Oasis XML non-validating tests. SVG:::Graph is a pure Ruby library for generating charts, which are a type of graph where the values of one axis are not scalar. SVG::Graph has a verry similar API to the Perl library SVG::TT::Graph, and the resulting charts also look the same. This isn’t surprising, because SVG::Graph started as a loose port of SVG::TT::Graph, although the internal code no longer resembles the Perl original at all. SVG::Graph isn’t only for charts.